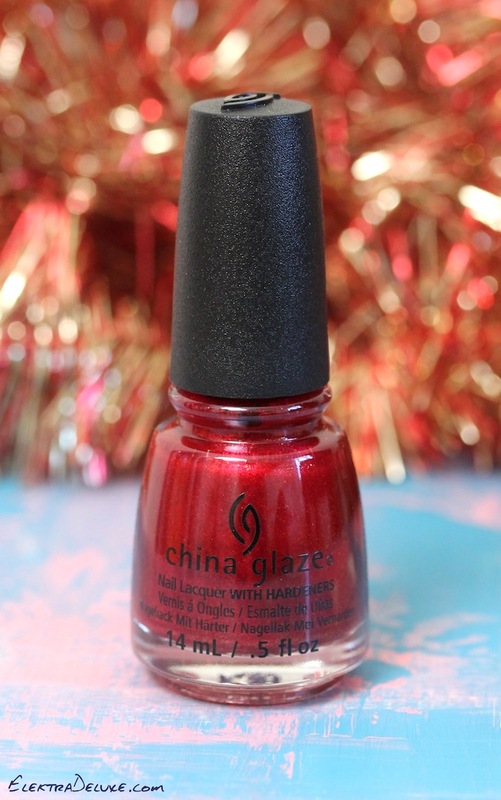 China Glaze Peppermint to Be is a classic holiday red glass fleck shimmer with subtle pink undertones from the new Cheers Collection. 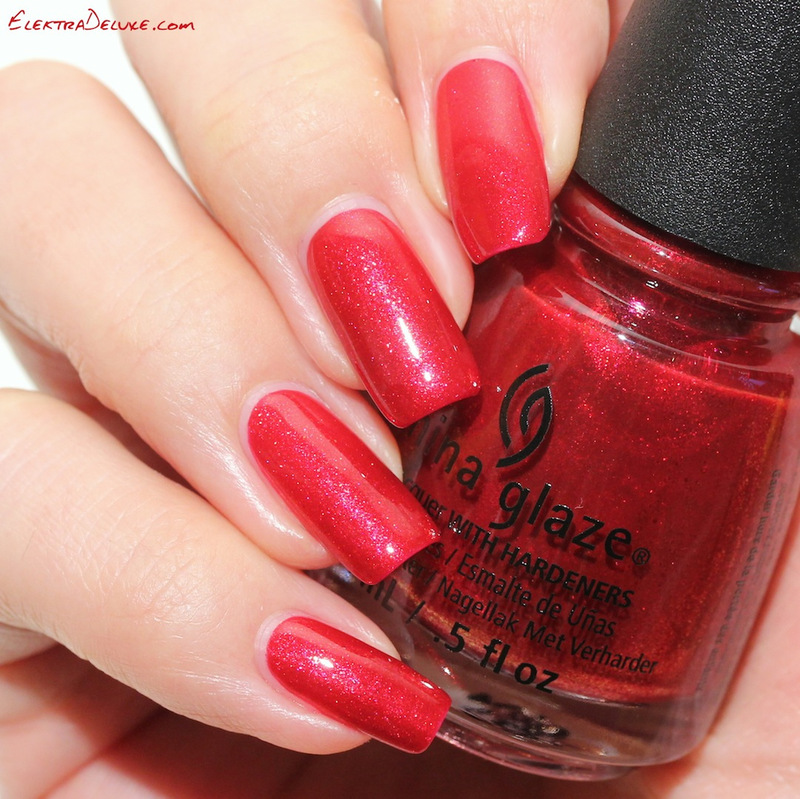 You HAVE to wear red around Christmas and this polish was my pick for this year 🙂 I applied 2 easy coats (as always including Top Coat – even if I don’t mention it, I always seal each and every manicure with Top Coat). 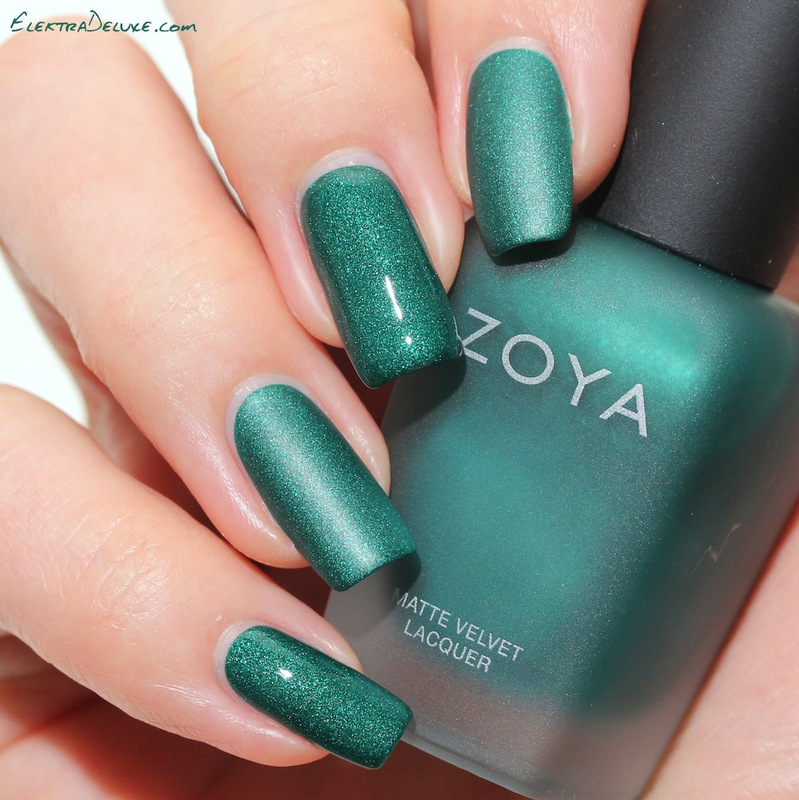 Zoya Honor is a matte emerald green from the new Matte Velvet Collection. 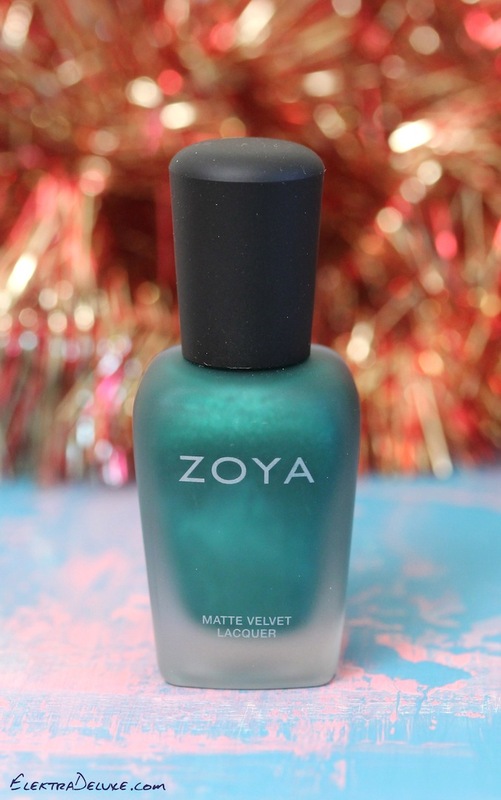 Compared to Zoya Veruschka from the previous Matte Velvets, Honor is a little lighter and has less yellow to it. It is a very rich, vivid color with an intense sparkle. I applied 2 coats. On my index and ring you can see how it looks matte and on middle and pinkie I added shiny Top Coat. I guess I prefer the shiny version! Nine Zero Lacquer Stocking Stuffer is a gorgeous mix of red, green, gold, silver glitter in different sizes and shapes and white dots in a clear base. I’ve already shown it to you some days ago. The white dots make this polish really special! I applied 1 coat over OPI Pedal Faster Suzi! here. 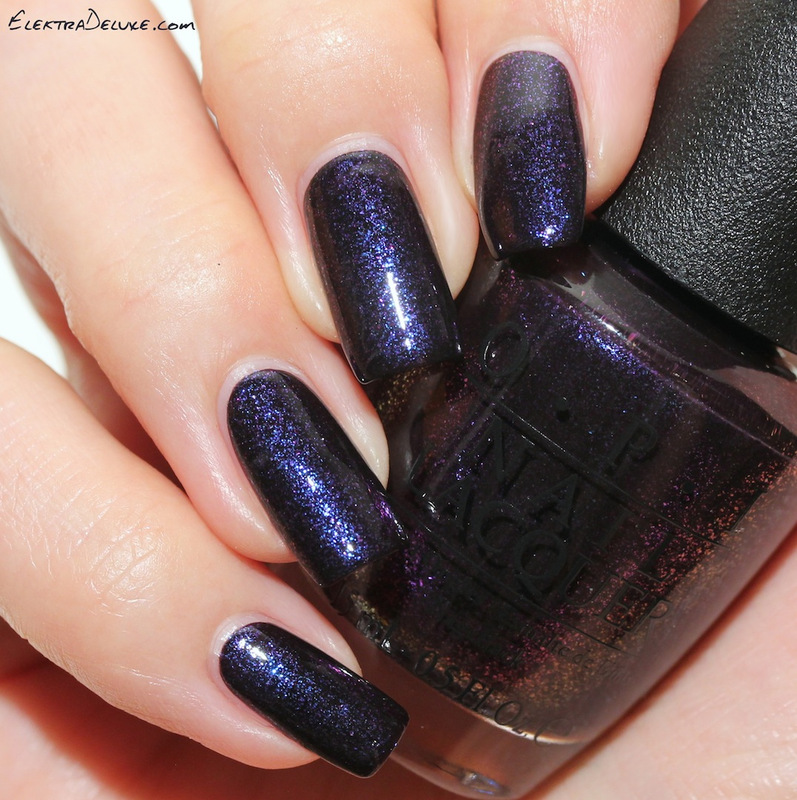 OPI Cosmo with a Twist is a blackened purple to blue glass fleck duochrome. Sounds intriguing, doesn’t it? It’s the only polish from the OPI Starlight Collection that I was interested in. It appears super dark on the nails and according to the lighting you see flashes of blue and purple. 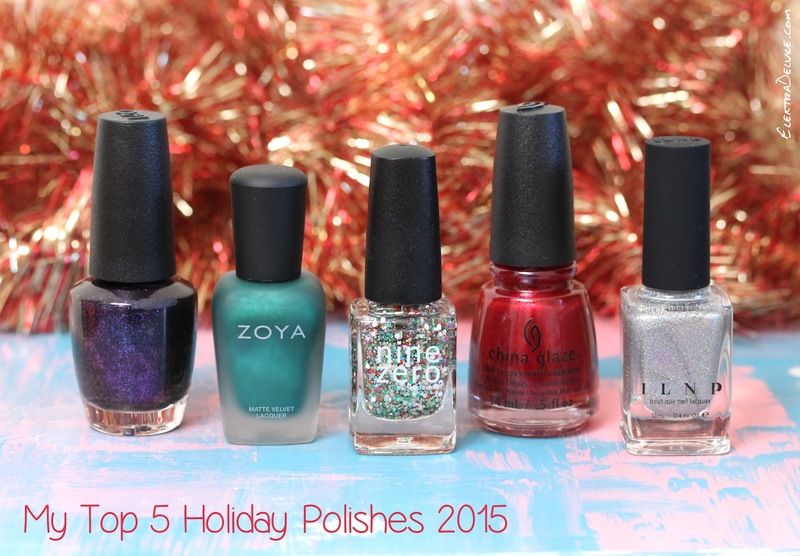 The polish would also be great for New Year’s Eve! I applied 2 coats. 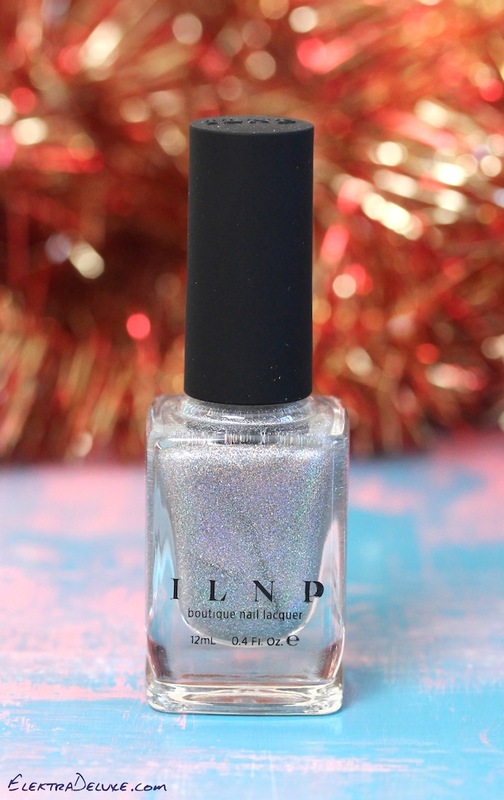 ILNP Mega (X) is a silvery Ultra Holo with oversized holographic pigments. I’m crazy for all ILNP Ultra Holos and this is no exception! It’s just divine! I applied 3 coats for the picture. 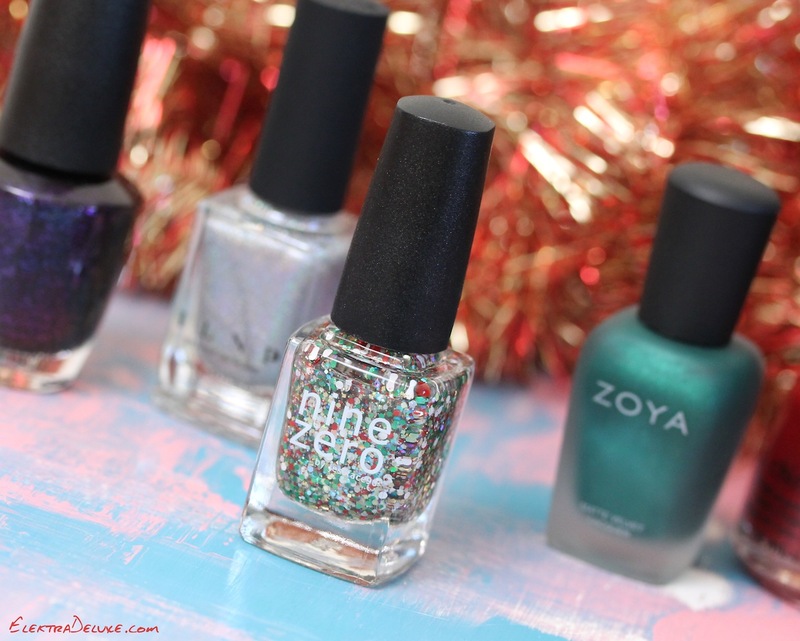 I’m gonna wear Mega (X) in combination with KBShimmer Kringle All The Way on Christmas Eve!